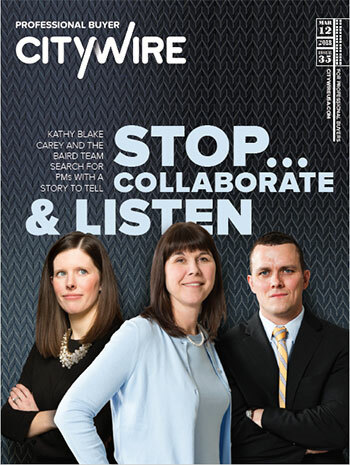 Citywire spoke recently to Kathy Blake Carey, Director of Private Wealth Management Research; Aaron Benson, Associate Portfolio Manager; and Maggie Savage, Portfolio Analyst; about the collaborative and disciplined process their team of 21 investment professionals uses to determine a recommended list of mutual funds and separately managed accounts for Baird clients. In particular, they discuss the criteria that matter most to them – solid team dynamics where every member’s contributions are valued, and portfolio managers who are passionate about what they are doing and importantly, why they are doing it. In addition, they discuss their own career paths and opportunities for women in wealth management.